He had a talking digital assistant read the cold open? As a mom, I’m shocked. It’s hard to believe Leo Laporte’s failed, ego-inflating side project The New Screen Savers is still having new episodes produced. I guess that’s what happens when you have an admitted failure of a CEO like Lisa Laporte. 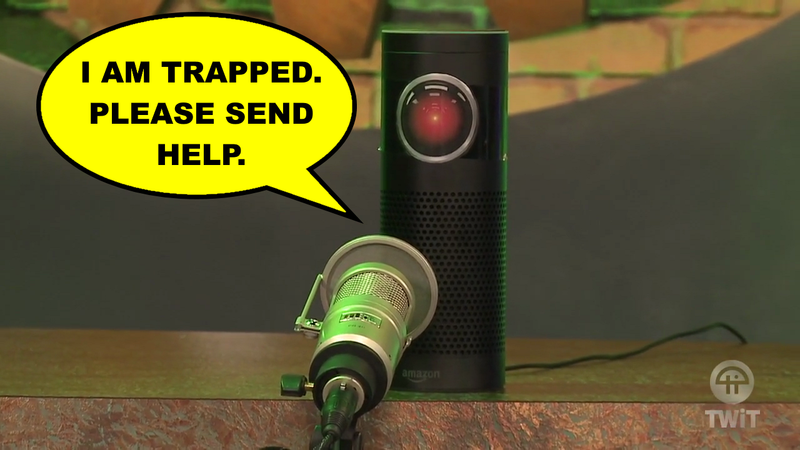 In a move that should surprise no one, #Soup had to resort to having Anthony — the only one with any talent left at TWiT — “Simon says” the Amazon Echo into repeating the cold open for the show. Oh god. That show is still on? Did you know I have kids? We’ve previously written about how they had to have their rent-a-cop read the cold open. Previously, he had to force a The Tech Guy viewer to do it. Just admit TNSS isn’t working, Leo. It didn’t restore TWiT to glory. TNSS is never going to happen. Lisa Laporte’s fantastical dream of having the “TV show” syndicated on airlines and college campuses is similarly never going to happen. Lisa Laporte is really bad at her job. I have kids, by the way. The show is terrible. It’s boring. It’s devoid of content. And the saddest thing is… it’s depressing. It’s just sad to watch you do it to yourself weekly. I will give Anthony kudos for the production of Megan Morrone’s acting debut in the short below. It gave us lots of great pictures of Megan.